"The Mentawai Islands remain the benchmark for what a surf trip should be. Home to the likes of Rifles, Kandui, Greenbush & Macaronis its not hard to see why..."
All Mentawai Surf Charters start & end in Padang. Usually around 11 days in length, trips have set dates (as standard) but in the "off season", dates can be flexible. Charter boat capacity ranges from 6 guests up to 14 guests. Ideally suited for large groups to book out the whole boat, there are also options for any size group - as well as single guests. Each trip will visit the main 4 surfing regions (Playgrounds, North Sipora, South Sipora & Pagai) where surfers will have the chance to surf the Mentawais best waves including Kandui, Hideaways, Telescopes, Rifles, Lances Left, HT's, Macaronis and Greenbush to name but a few! The surf guide will always discuss the options with the group prior to departure (from Padang) so the group can make a call on where they'd prefer to surf. Below you will find all the options we recommend. 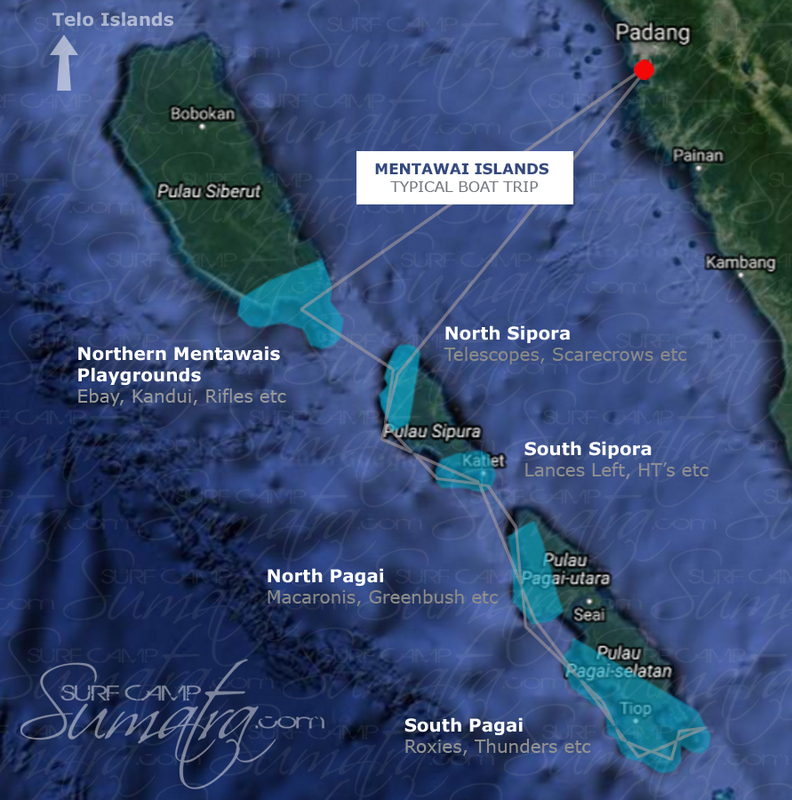 Please feel free to ask any questions you might have about the Mentawai Islands surf resorts!